How A Minneapolis Duplex Realtor Is Like A Book On Tape | Your best resource for buying, selling, owning and investing in duplexes and duplex homes. The other day a client told me he couldn’t write an offer on a property because he had to go home and read. 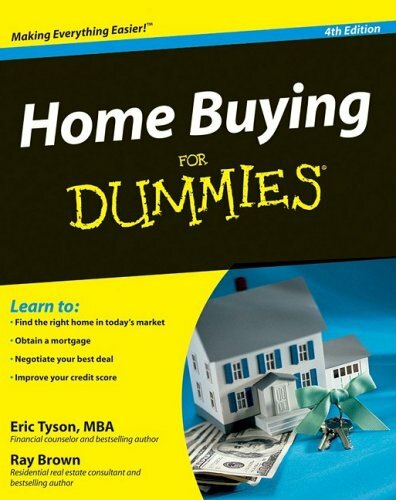 When I asked what piece of literature was so pressing, he answered, Home Buying for Dummies. Now I’m a big fan of the Dummies books. They’ve sure simplified a lot of things for countless people. I’m also a firm believer in being a fully informed consumer. However, what I didn’t understand is why my client didn’t ask me those questions. Then I realized, it’s probably because he thinks I’m a sales person. The biggest part of my job isn’t looking at duplexes, writing offers, or getting listing contracts signed. Instead, I spend most of my time teaching. I’ve learned a lot from my state-required ongoing real estate education. But I’ve learned far more by doing; from the experiences I and my clients have had, and those I’ve heard of from peers. I have clients who have all sorts of amazing, wonderful careers. They’re software experts, fly Blackawk helicopters, drive trucks, are financial analysts, green energy consultants, attorneys, and on and on and on. As a whole, they’re incredibly bright people who are experts at what they do. And if I ever had a question in any of those fields, they would be my first call. I would hope, if they ever had a real estate question, I would be theres. Full time Realtors actively work day in and day out in the very market we’re all hearing so much about. A Realtor can not only call you when she finds a great deal, she’s also on the front lines and knows long before the media does if the market’s changing. A Realtor can recognize and point out hazards like friable asbestos, explain 203(k) loans, recommend contractors, recognize and identify trends, explain the inspection process, tell you the difference between REO properties and those that are in the foreclosure process, and a plethora of other up-to-the-minute information. More importantly, a Realtor works in your market. The author of the Home Buying For Dummies book is a seasoned real estate veteran. However, his business was is in San Francisco. Not Minneapolis/St Paul. I’m like the chemistry professor. Yes, it helps to read the book before class, but if you’re actually conducting an experiment, it might be best if you had someone experienced on hand; just in case. If you have a question, don’t be afraid to ask. I’m happy to help. It’s my job.